There are so many people claiming to be search engine optimization (SEO) experts. Chances are, some of these supposed experts reach out to you talking about the wonderful results they can help your business achieve. But how do you know who a good, professional SEO consultant is? How do you know who to avoid? Like everything with SEO, there aren’t easy answers to these questions. Good SEO consultants can be found around the world charging all types of fees. You need to evaluate each SEO consultant on their own merits. 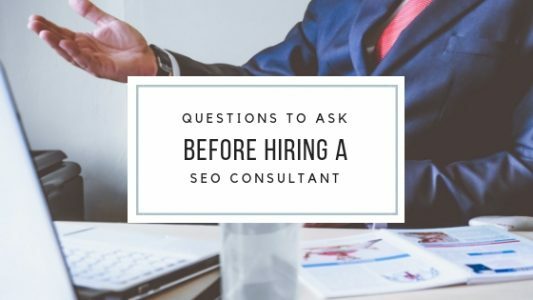 The following questions can help you weed out the bad consultants, helping you to find the professional SEO consultant who can actually help you achieve the results you wish to achieve. What are your skills and what kind of experience do you have? You want to ensure the SEO consultant you hire has experience working on websites similar to yours in both size and focus. For example, an SEO consultant who is only familiar with optimizing local business websites would probably not be a great person to hire if you run a larger-scale ecommerce website. Local SEO and ecommerce SEO are related in general ways, but driving a tank and a minivan are related in general ways too. That said, this doesn’t necessarily mean the SEO consultant needs to have worked in your specific industry or for your competitors in order for them to successfully help your website and your company. An professional SEO consultant familiar with optimizing websites for dentists probably could easily help local restaurants earn rankings as well since these types of businesses have a similar type of scale and problem (namely, ranking highly in hyper-local search results). What area of SEO do you specialize in and is that the area of SEO most important to my business right now? One of the most common mistakes people make when hiring an SEO consultant is hiring an SEO that has the wrong specialization given their company’s needs. Or, worse, the company hires an SEO generalist who is mediocre at everything and great at nothing. In the early 2000s, it may have made sense to hire an SEO generalist who could work in all areas of SEO. These days, search engines have grown incredibly sophisticated and an SEO generalist likely won’t be able to achieve good enough results to warrant their fees. You need to know what area of SEO will benefit your website and your company the most. SEO specialties include technical factors, on-page optimization, outreach/link building, content marketing, local search, and more. At different times, each website needs to consider each area but it won’t be the same SEO consultant who can help with each area. Ask the prospective SEO consultant what area they specialize in but also ask what area they think your website needs currently. A good SEO consultant should know precisely where they can help and be honest about the limits of their abilities. Tell me your thoughts about [recent algorithm change]? Google is constantly adjusting their ranking algorithm. Sometimes these are big changes and sometimes these are minor changes. It is imperative that the SEO consultant you hire is familiar with these changes (especially those that relate to their area of specialty). Before interviewing your SEO consultant, review the latest algorithm changes Google has made. You don’t need to know the details, but you should be able to pick up on enough so that you can ask the SEO consultant during the interview their thoughts about the various changes. What you are listening for in the reply is this SEO consultant’s familiarity with Google’s operations and rules, as well as his or her ability to explain the complexities of the algorithm changes. A professional SEO consultant should explain what they have read about this change, should discuss what other SEO experts are saying, and should explain how this change relates to prior changes Google has made. Most importantly of all, a good SEO consultant should explain how this change relates to your company (or if it relates at all). A bad SEO consultant on the other hand, will either dodge these questions or attempt to use the latest change as a means of scaring you into signing a contract. Do you offer any guarantees about rankings or traffic? Admittedly, this is a bit of a trick question since you are hoping the SEO consultant you are interviewing says no. There is no way an SEO consultant can guarantee that you can get rankings or traffic from search results. Any SEO consultant who says yes is probably lying outright. Worse, though, some SEO consultants who make guarantees will use spammy tactics (sometimes called black hat tactics) to game the search results in attempt to get your website to rank higher. To the extent these tactics even work, they only work briefly and almost always lead to penalties and manual actions that will hurt your website’s search performance long term. A good SEO consultant, however, should guarantee that they will do their best to help you optimize your website. The better SEO professionals should also guarantee that they won’t employ spammy or unethical tactics while working on optimizing your website. How do you measure success of an SEO campaign? Before asking an SEO consultant this question, you should consider your own answer. What do you want to achieve by hiring this SEO consultant? Are you attempting to rank higher in search results, drive more traffic to your website, or find more customers? Chances are, your answer is a desire to find more customers. Unfortunately, many SEO consultants will give you a different answer. They will say that their measure of success of any SEO work is how highly your website ranks in search results. Maybe, they will say that their measure of success is how many people click on those search rankings. Ranking in search results is nice and clicks aren’t bad, but if you are aiming to find more customers, then your SEO consultant should be too. Good SEO consultants often won’t talk much (if at all) about rankings or traffic–instead, they’ll ask about what goals your company wants to achieve and then discuss how SEO may help you accomplish those goals. How do you communicate about your work? Some SEO consultants communicate with clients constantly while others avoid client communication like the plague. However, SEO is a collaborative discipline and to generate a successful outcome, SEO needs to be tightly integrated with the remainder of the company’s activities. For example, an SEO consultant could help pages from your website rank that connect to and support a print mail campaign, making both the print and SEO campaigns far more effective. But that kind of tight integration and collaboration demands regular, clear, and open communication. Related to this is how an SEO handles approval for their work. Most good SEO consultants won’t make changes to a website without your prior approval. This is because a professional SEO consultant recognizes the need for coordinating their changes with the other things happening at your company. Bad SEO consultants, though, will often move forward with changes (sometimes big changes) without any approval given and without any thought to how these changes connect to the broader organizational initiatives. During the interview, you can start to gauge what kind of approach the SEO consultant will take. A great SEO can make a huge, positive difference in the long-term health of your business. But a bad SEO can a difference that is just as huge in the opposite direction. Hiring a SEO consultant is, in many ways, no different than hiring other highly-specialized professionals. You need to be skeptical and cautious during the interview process to ensure you find the right person to work with. Make sure the person you select is ready to work with you long-term to achieve the results you are after and make sure you will feel comfortable trusting them and working with them moving forward. I'm a consultant, speaker, and author specializing in web analytics, CRO, UX & technical SEO. Learn more about me. Is Your Website Traffic at Risk? At a loss as to how to improve your website? No matter what industry you’re in, my latest book will help you achieve your website’s goals with a few simple changes.